We like Prosecco. It is fresh, fruity, sweetish (although we prefer not to be reminded of this), and best of all, sparkling. We like fizz and we like a wine that doesn’t try to be too complicated. Prosecco doesn’t attempt to ape Champagne, and doesn’t cost the earth. Sales have rocketed here and elsewhere. Over the past few months newspapers have been full of stories of a poor harvest and a shortage of wine. I very much doubt we will suffer from a shortage of Prosecco, but if we do, there are plenty of very affordable alternatives. 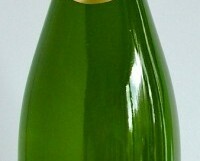 Sparkling wine can be divided into three categories. Wines made by the traditional method go through their second fermentation in a bottle. These include Champagne, Cava, the various crémants and many New World sparkling wines. Others go through a similar process, but in a large tank. This is known as the Charmat or tank method. In the third, unofficially known as the méthode pompe bicyclette, the wine is simply carbonated, as with a soft drink. The traditional method is said to produce superior, more complex wines with a finer stream of bubbles (although this may partly be due to the quality of wine used). It also costs a lot more. Prosecco is made by the Charmat method. In recent years, a new category of ‘non-sparkling’ sparkling wine has emerged. Irish importers realised that slightly less fizzy Prosecco, labelled Frizzante, which comes with driven cork or screw cap, is classified by Customs and Excise as still wine and therefore attracts a lower level of duty. If you buy a bottle labelled Spumante, it will have more bubbles and one of those mushroom-shaped corks. You will then be paying double the rate of tax. Virtually every country around the world makes fizz of some sort. So far this year, I have tasted some very presentable sparkling wines from Romania and Hungary and some seriously good stuff from Austria, Germany, New Zealand and the UK. Other parts of France, Australia, South Africa and Italy can also claim to make excellent sparkling wine. Unfortunately you will usually pay at least €20 and more often multiples of that for the very best. If any wine ever puts a dent in Prosecco sales it is most likely to be Cava. This Spanish wine is made by the more expensive traditional method and is therefore liable for the higher duty rate, but as it is produced in very large quantities, you can often find it at prices not dissimilar to Prosecco. Not all Cava is cheap; there are plenty of very good, but more expensive bottles. But most of the multiples offer one at €10-€15. I asked importers for their alternatives to Prosecco. My tasting divided neatly (with two exceptions) into two categories: Prosecco wannabees and Champagne lookalikes. I tried a few very good drier Cavas, including the Tesco Finest Cava, a steal at €10.69, the Aldi Cava Convento (€10.49) and the Segura Viudas Lavit Brut Nature (€22, Next Door).There were also plenty of more expensive sparkling wines from the New World, Burgundy and the Loire Valley. Two sparkling wines fell into a third category of weird but wonderful; the funky, cloudy and delicious Gaillac Brut Nature 2013 (€29.50) from Terroirs in Donnybrook, and even funkier, in a good way, was the sweet red Reggiano Lambrusco I Quercioli (€19.50) from Sheridans Cheesemongers.This week I have chosen two wines that are similar in style and price to Prosecco and one that is competition for many Champagnes. Medium-dry peach and apple fruits with good lively citrus to keep it in check. A prefect Prosecco replacement. Lightly fruity and refreshing; this is a very attractive alternative to Prosecco. Stockists: Deveney’s Dundrum; Clontarf Wines, Corkscrew, Jus de Vine, Martin’s, Wine Centre Kilkenny, Morton’s Galway, 64 Wine. A seriously good glass of sparkling wine with creamy raspberry fruits and a long dry finish. A great alternative to Champagne. Stockists: Ardkeen; Mitchell & Son; Deveney’s; The Corkscrew; Molloy’s; Next Door.